pls buy manila bulletin today (jan 6) for your free copy of style weekend! it's our first issue of the year! 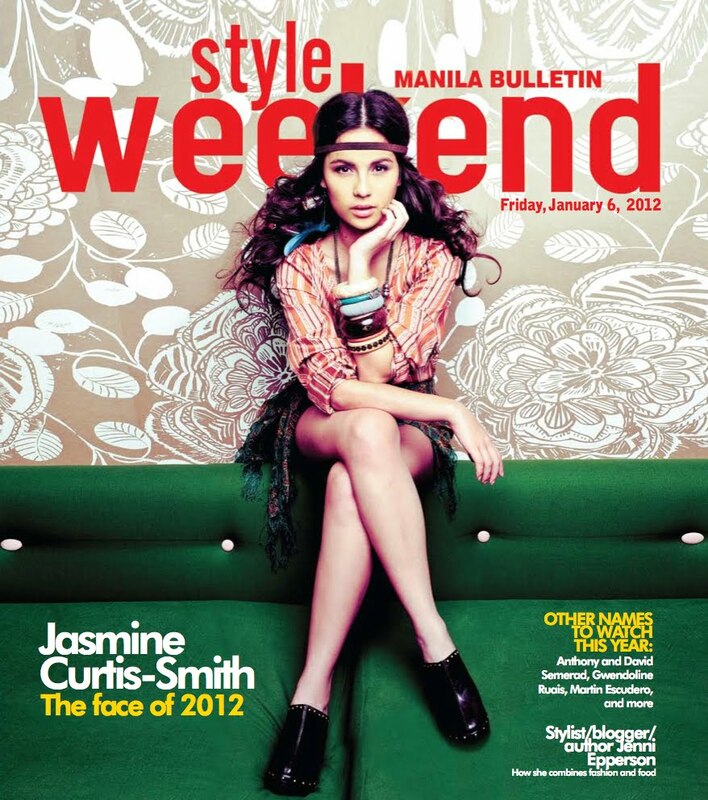 on the cover: jasmine curtis-smith—watch this girl's star rise in 2012! (yes, she's anne's little sister.) photographed by BJ pascual on location at heima home & lifestyle, styled by eldzs mejia, makeup by archie tolentino for maybelline new york, hair by katchie mejias. outfit by love, bayo. also in this issue, 12 faces to watch in 2012, cute flats, art basel miami beach, jenni epperson's hostess-with-the-mostest style, and more! bj and eldzs can do no wrong! great cover!